I’m tired of Wrack being referred to as a “retro” FPS. It would be one thing if it truly was… but it’s not. Is the art style retro? No. Is the music retro? No. Are the sounds retro? No. Are the character designs retro? No. Are the models retro? No. Is the gameplay retro? If running around at breakneck speeds, battling lots of monsters out in the open, and rocket jumping is considered “retro”, then something is seriously wrong with the universe. Cats may stop being cute and bacon may cease being awesome at any moment. Random object + googly eyes = MONSTER DESIGN! Capcom copyright infringement lawsuit pending. Do you see the difference? You do? Good. I realize that people see the inspiration and similarities between Wrack and games like Doom, Quake, Duke Nukem, etc. I get that. It just feels a lot like them. But there’s a big difference between being inspired by something and trying to emulate it. Wrack doesn’t do things because “Well hey, that’s what Doom did!”; it does them because they make sense — a LOT of sense. 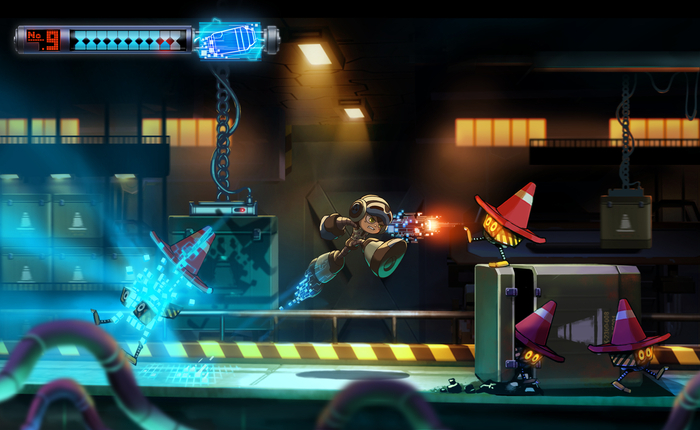 We’re happy to continue doing the things those games got right… but I don’t think there’s going to be a Wrack game with a flashlight that doesn’t stay out any time soon. 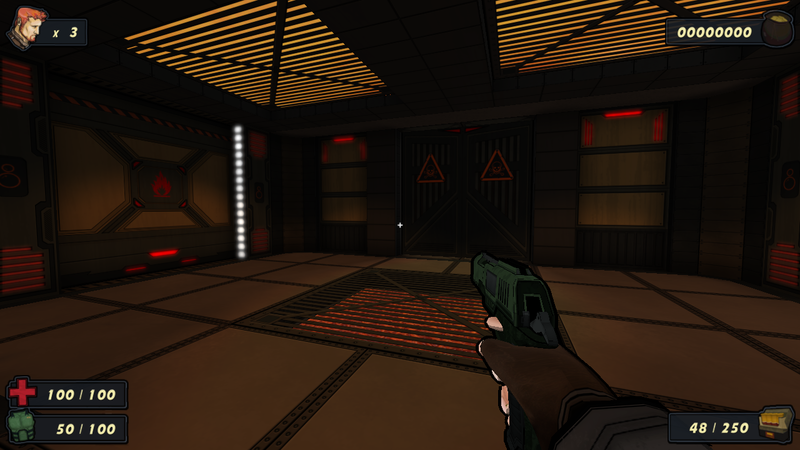 Wrack isn’t a retro game, after all. I’m proud to announce that the first of our biweekly updates, entitled “The Update Cometh… Early”, is here… and as you may have guessed, it’s here early! We really wanted to get some bugs and other issues from the initial release taken care of as soon as possible, which is why this update is out so quickly. The next update is still scheduled for Dec. 9th. Fixes galore! – Numerous crashes and glitches have been fixed, including ones that allowed you to travel outside of the map. Featured maps! – At least, we have featured maps! 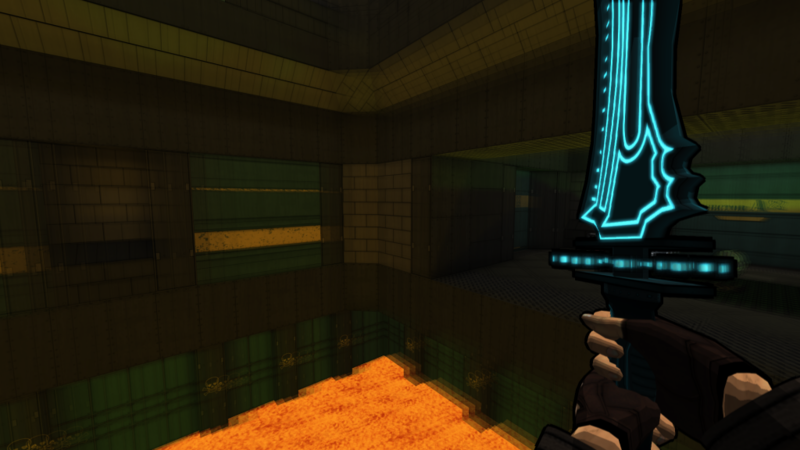 Two are fun speedrun maps, and another is a challenging map, for the few of you who think Wrack is too easy! Gameplay improvements! 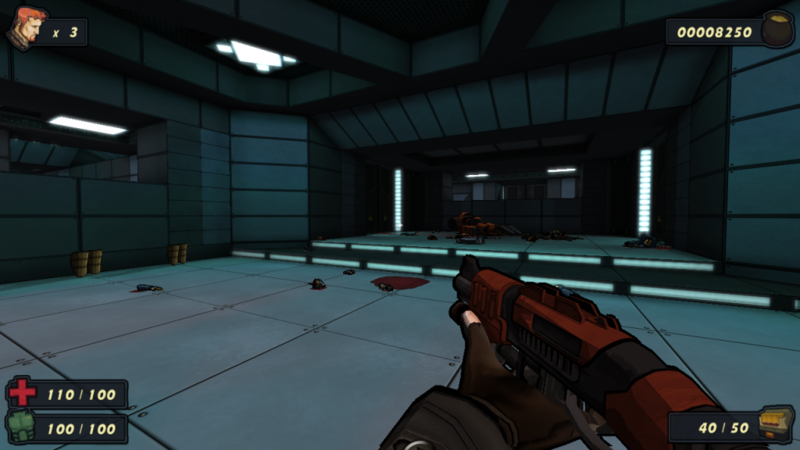 – Wrack is now more fast-paced at all difficulty levels (except the last one). This affects Time Attack and Score Attack mode as well. Font improvements! – Remade the main game font, and enlarged it slightly to make it easier to read. Speaker colors have also been updated. If you’ve already got the game on Steam (which is pretty much the official version)… congratulations! You already have the update! Otherwise, head on over to the Download page to grab the update. Can you believe I actually thought it was okay to post the bios for everyone except the main character?! What the hell was I thinking?! Sometimes you guys need to smack me. Hard. Once Kain’s bio is posted a couple of paragraphs from now, that will be it for characters at this stage of the game. Should we do well enough to do the massive two episode expansion (seriously, make this happen people), and even a multiplayer-focused Wrack 2, there will be plenty more! Ideas are already brewing. Anyway, to avoid teasing you too much with what’s (potentially) coming… here’s Kain! BIO: Kain Sager is the protagonist of Wrack, leader of the small band of characters he’s assembled, and the character you play as. Haunted by a pair of tragedies from his past that he blames himself for, Kain now finds himself shouldered with the burden of keeping those he cares about safe. Even though he lives in a time of unprecedented prosperity and peace, he finds himself unable to relax and take part in it. Instead, he does everything he can to stay prepared against possible threats: staying in shape, maintaining a weapons arsenal, and recruiting a small complementary team to do the things he cannot. When tragedy does befall Earth in the form of an alien raid, only one person is ready for it… Kain! That’s it for the bios! Now that you know a little bit about everyone, you’ll be able to see their personalities in full display when the next update comes out. It should be here sometime between 0 and 1,000,000,000 years. This is it! This is the last new character in this batch, so this will have to tide you over for awhile! Plenty more are planned for later, though. But enough about that! 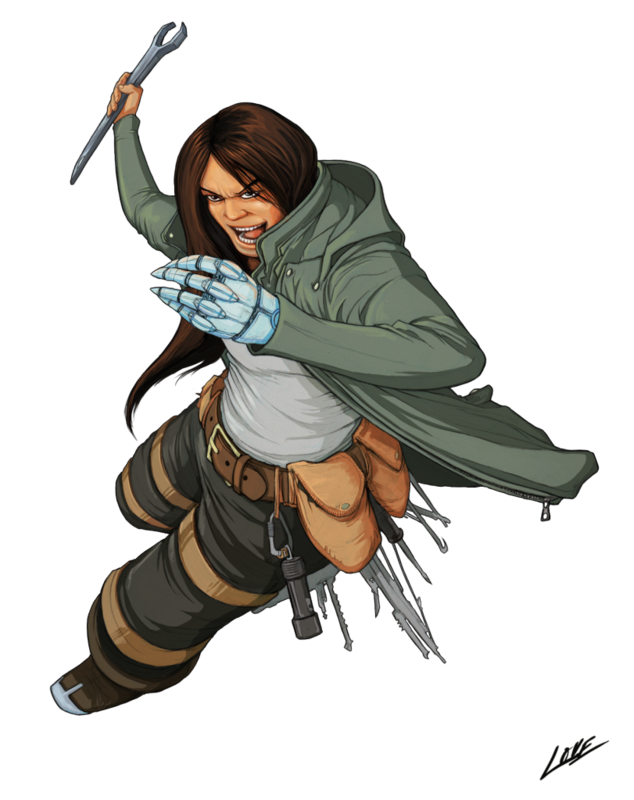 This post is about Wrack’s medic: Starlyn Sage! 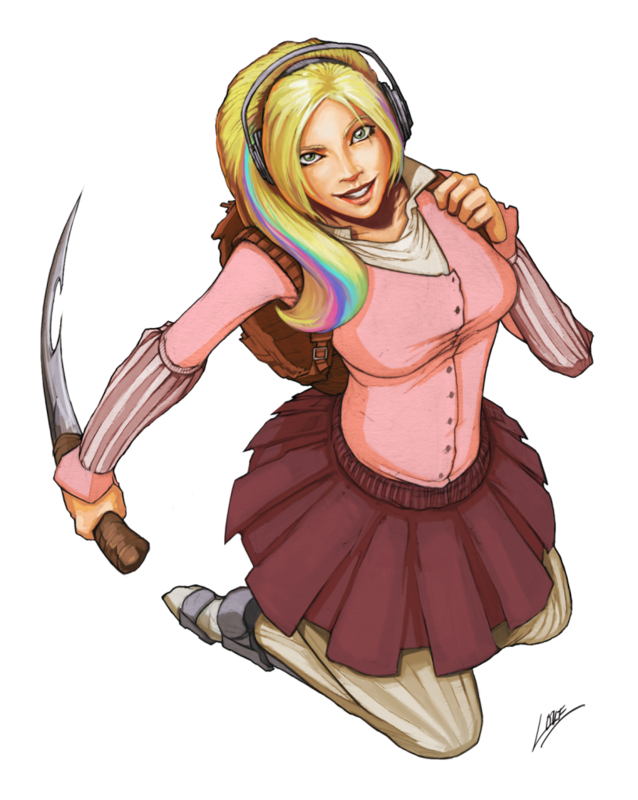 BIO: Starlyn is both the medic of the group and the brains of the operation. On a team with the headstrong Kain and the narrow-minded Fabian, Starlyn fills the valuable role of keeping everyone focused on the big picture. While not possessing much technical expertise, she’s fascinated by science and by what must be out there in this vast universe of ours. Her being the only girl in the group though… complicates things. This completes the introductions for all of the main characters thus far (or does Kain need a post like this too? Let us know!). The next update will feature all of these diverse character in action in cutscenes drawn by the same artist, Jack Love, who’s brought you all of these fantastic drawings! I know I can’t wait! We continue to make progress on our next major update! 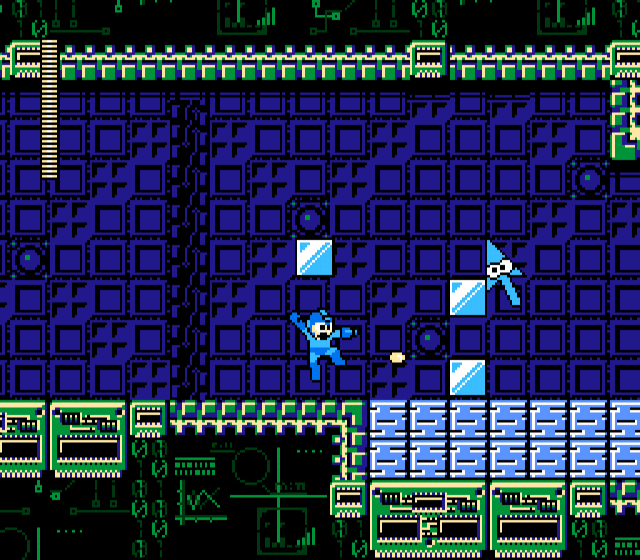 More textures are being done, more levels are being completed, but most importantly… new characters are being made! I’m very pleased to introduce the next major character in the Wrack universe: Exo! He’s… probably a good guy. BIO: Exo is the engineer responsible for the creation of the arcturans’ robot army. Being a cyborg himself, his expertise in the field of robotics is unparalleled. As the last of his race, he now travels the galaxy offering his services in the form of providing robot armies, robot workers, etc. – all while searching for a way to bring his fallen race back. Not much else is known about him at this time. We’ve got one more left in this batch, and I’ll let you know as soon as he (or she!) is finished! Stay tuned! As I mentioned in the previous article, a lot of the focus lately has been on the story and characters involved in the Wrack universe. One of the best parts about that? New character designs! That being said, I’m very pleased to present you with the next character in the Wrack universe: Fabian Long! 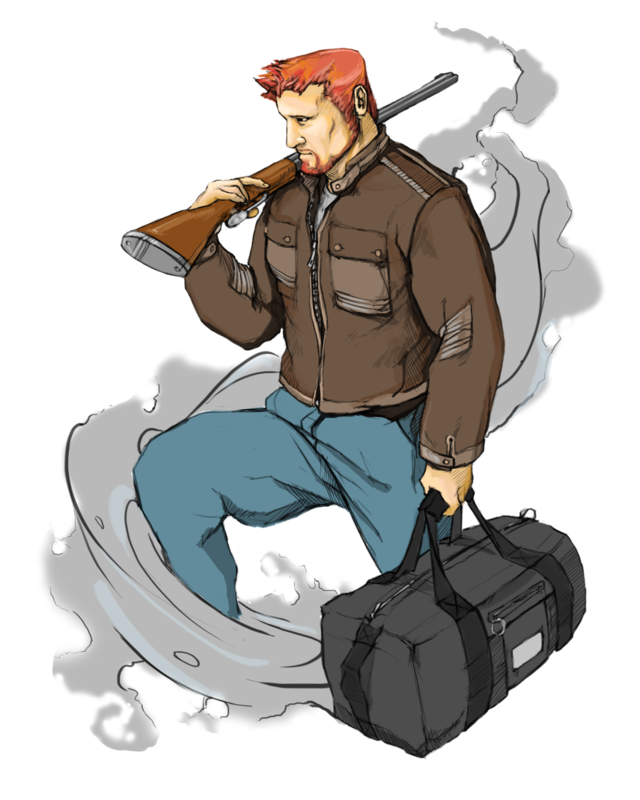 BIO: Fabian Long is the best friend of Wrack’s protagonist, Kain Sager. 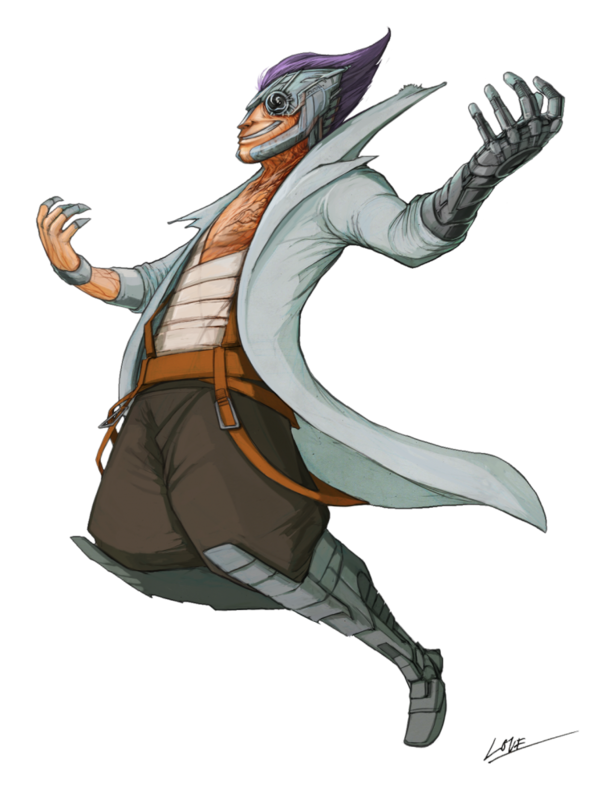 Being highly gifted in the realms of science and engineering, he builds gadgets and weapons for Kain – including his Hyperblade! Over the years, however, his immense talents have taken their toll. Without being forced to try hard at things growing up, he’s become narcissistic and lazy – only doing things when he “feels like it”. Most of the time, he’d rather be off having a good time and being a ladies’ man. … but when he focuses and buckles down and does his job… there’s nobody better! That’s it for him! More soon! 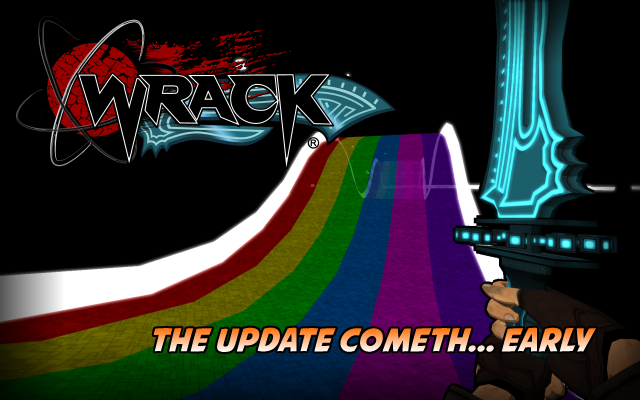 Wrack is now available on Desura! Just what is Desura? It’s a digital distribution platform that’s geared towards indies like us! We’re part of their alphafunding program which means that you get everything we’ve made now (for a discount) and then get updates (and eventually, the completed game) as we finish up. It’s pretty sweet and we’re thrilled to be part of their service! Thanks to Seth Mussey for making the trailer! Incredible job! But that’s not all! 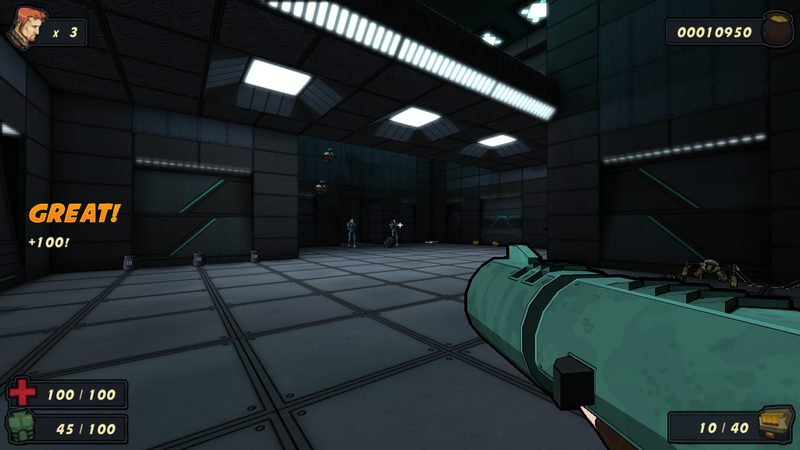 Wrack is currently 50% OFF to celebrate our first week on Desura! The sale runs through the end of the weekend so make sure to grab it before time runs out (if you haven’t already)! QUICK NOTE: If you’ve already purchased Wrack through our website and would like to have it on Desura as well, feel free to contact me for a key.